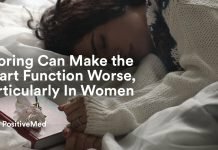 Everyone experiences the aging process differently, but there is a natural regression of functioning that impacts all adults. Vital organs begin to lose some of their abilities, and muscle and nerve tissues begin to break down, albeit slowly. While these aging realities affect all adults, there is one part of the aging process that brings forth more cause for concern than others. 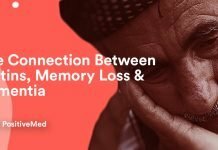 The decline of cognitive functioning, often broadly referred to as dementia, has been a growing health issue for the elderly throughout the world. Millions of adults live with dementia and cognitive issues like Alzheimer’s Disease which are progressive in nature. The loss of full brain functionality impairs older adults’ ability to live a quality life, and with one in three people over the age of 65 impacted by the condition, the amount of research for a cure has risen sharply in the last decade. As the world’s population continues to live longer, there is an expectation that those diagnosed with dementia and Alzheimer’s Disease will increase in the years to come. This concern creates the need for more timely and accurate diagnosis methods in addition to ongoing work toward a cure for cognitive issues among the elderly. Although there is no known cure for cognitive decline due to aging, there is a promise that early detection methods are vastly beneficial to those living with dementia and their caregivers. One of the most important developments in the last decade in providing a solution for earlier detection of dementia and Alzheimer’s Disease is SAGE – the self-administered gero-cognitive examination. Designed and tested by a group of medical researchers at Ohio State University in 2014, SAGE has shown impressive results in uncovering the early signs of cognitive impairment in patients who complete the test. As an at-home exam, individuals have the opportunity to sit in the comfort of their own home instead of visiting a doctor’s office to determine whether or not the early signs of dementia are at play. The SAGE tool includes a short set of 12 questions that are used to evaluate the functioning of the brain. These exam questions include simple activities, like writing out a list of items from a specific location, or calculating a simple math problem. If the individual taking the test answers a certain number of questions incorrectly, it is a sign that cognitive issues may be affecting their ability to function properly. When this takes place, they are encouraged to seek the help of a medical professional for further testing and a course of treatment if dementia or Alzheimer’s is indeed the diagnosis. SAGE, then, has become a powerful tool in the early detection and ultimately, the early treatment of cognitive impairment in older adults. Although SAGE has shown promise in providing a simple, at-home method for the early diagnosis of cognitive impairment, experts agree that more needs to be done to help offset the impact of dementia throughout the population. A representative from a leading medical negligence firm in the UK explains that increased pressure is being placed on the healthcare systems of the world, due in part to the growing number of patients requiring medical attention. Providers are less adequately equipped to manage an increasing patient population, leaving less time available for the extensive, time-consuming testing required for patients who may have cognitive issues. Early detection through a tool like SAGE offers older patients a clearer path toward eventual diagnosis and treatment, and the earlier these crucial components are put in place, the better quality of life a patient can lead. SAGE is not the end-all to dementia and Alzheimer’s detection, but the tool does represent the trend toward prevention as opposed to reactive treatment. With more strategies like SAGE in place that allow older individuals and their loved ones to uncover the warning signs of cognitive impairment, researchers may have more of an opportunity to find a cure for the debilitating condition. This is necessary if the burdens on healthcare organizations and systems across the globe are to be lifted and patients are able to live the highest quality life possible.